Following the successful debut in the previous season, Europe’s top league with the youngest average age is again awarding its top junior stars with the “Bundesliga Rookie Award by TAG Heuer” in the 2017/18 season. In selecting the winners, DFL Deutsche Fußball Liga and official Bundesliga partner TAG Heuer will now be supported by Lothar Matthäus. The Bundesliga legend, seven-time German champion and captain of the 1990 World Cup team, will be nominating his monthly “Top 3” from five candidates from different clubs selected on the basis of official match data (including goals, assists, tackling rate). The fans will then vote for their favourite out of the trio chosen by Lothar Matthäus at www.rookie-award.com, a website especially created for this purpose. The “rookie of the season” will be selected from all the monthly winners at the end of the season. In the first monthly election, the “September Rookie” is currently being sought. 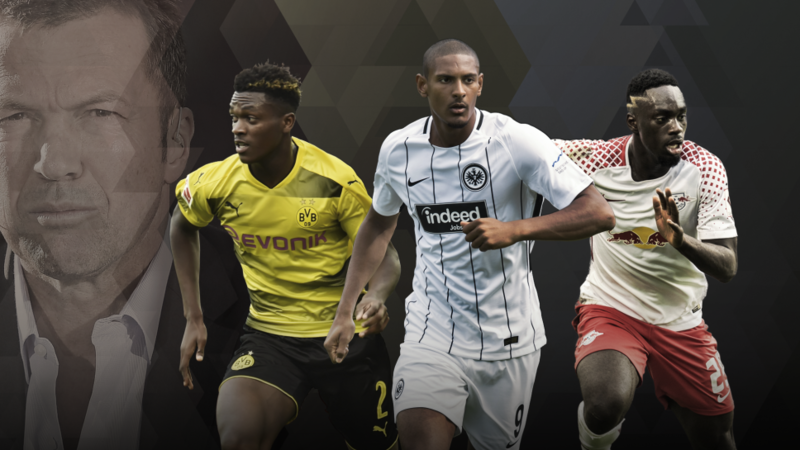 The nominees are Dan-Axel Zagadou from Borussia Dortmund, Sebastien Haller from Eintracht Frankfurt and Jean-Kevin Augustin from RasenBallsport Leipzig. In order to qualify for the voting, the nominees must be not older than 23 years at the start of the season and previously not have taken part in any Bundesliga match. A player who has already been named “Rookie of the month” cannot be nominated a second time. Click here to vote for your Bundesliga Rookie Award by TAG Heuer for September! Click here to vote for September's Bundesliga Rookie Award by TAG Heuer!